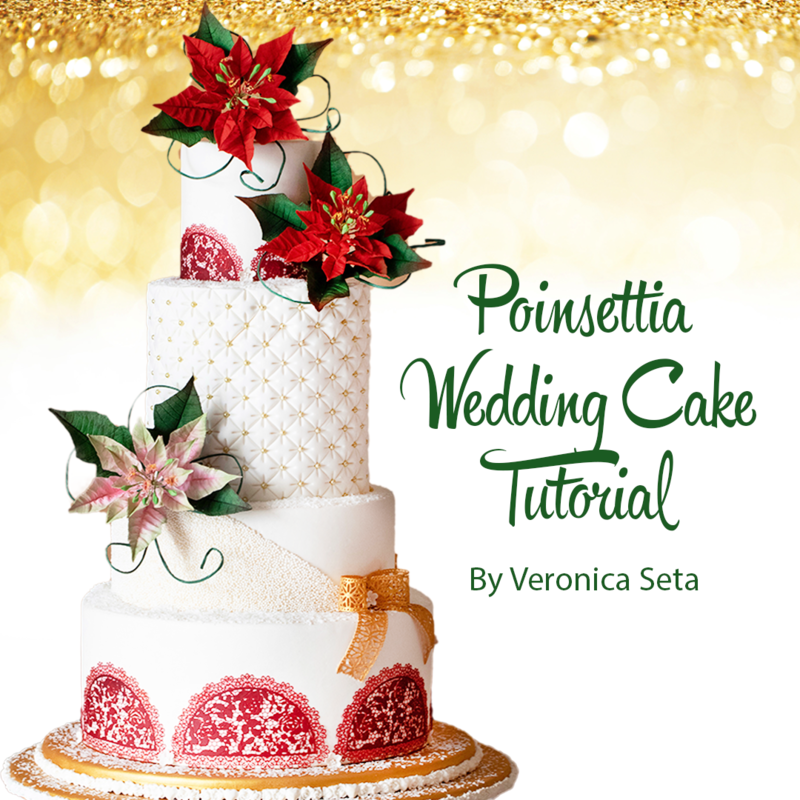 Award-winning cake artist, Veronica Seta is back with another stunning tutorial. 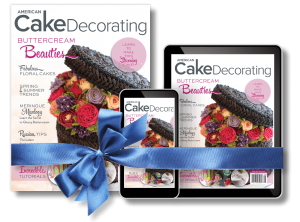 Learn how to create this custom lace wrap, the perfect decorative accent for Valentine’s cakes and more! 1 Mix a batch of white sugar lace according to the manufacturer’s instructions. Divide the mixture into three parts and color each with green, light pink and pink gel color respectively. 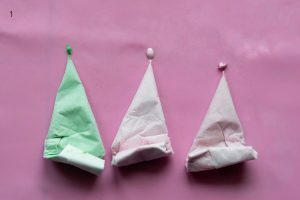 Place each color into a piping bags. 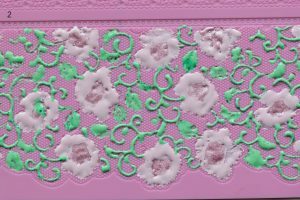 2 Pipe into the deepest areas of the mold design using the different colors and gently push the sugar lace mix with a paintbrush to the edges of each element of the design. Let it dry and if you want to speed up the drying process, bake the lace in a low oven (70-80 C). 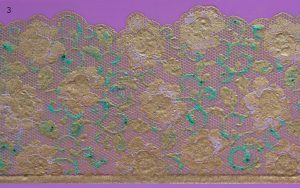 3 Prepare some pearlized gold sugar lace and, when the first layer is dry, spread it over the remaining uncovered areas of the mat scraping off the excess. Let it dry. 4 Carefully remove the dried lace from the mat. 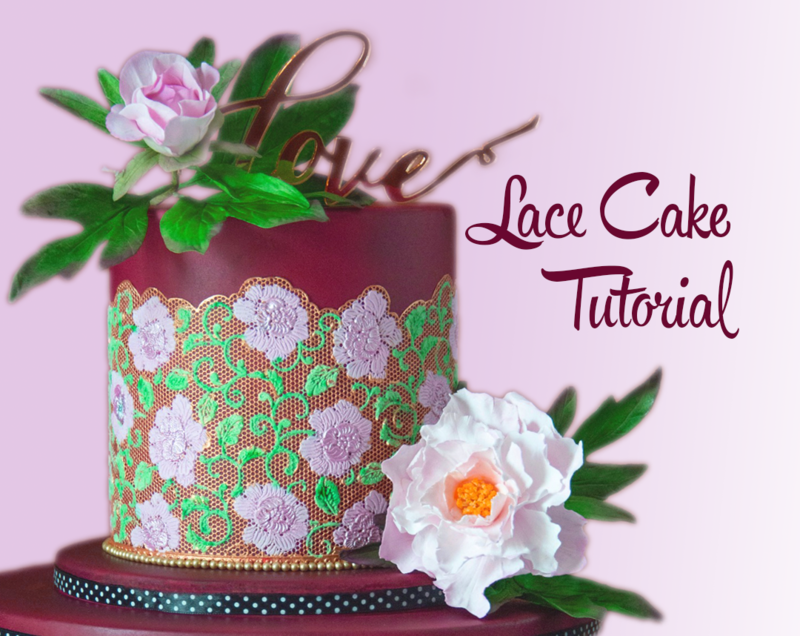 5 Lightly brush a small amount of water onto the cake sugar paste and place the lace. Decorate the base with gold pearls using a pearl applicator. Veronica Seta is a multi-award-winning cake artist from Naples, Italy. 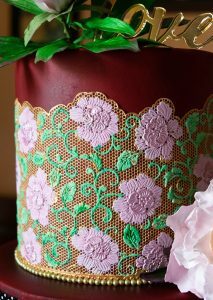 She is most known for creating elegant lace cakes and realistic sugar flowers. 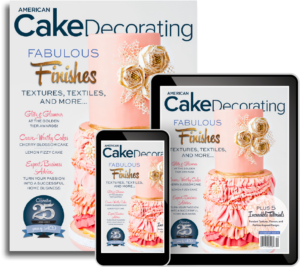 Veronica loves to share her passion for cake artistry by teaching both nationally and internationally and by creating tutorials for magazines and blogs. 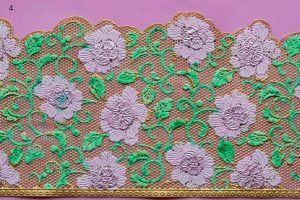 She is a brand ambassador for Drageekiss and Cake Lace.